While Sekiro: Shadows Die Twice carries over many elements from past From Software games, here is how the game isn’t just another Dark Souls. When you think of FromSoftware, a lot of things immediately come to mind as far as the type of games that they make. The first thing you probably thought of is the fact that their games are really freaking hard. The second is that they are rewarding, despite being really freaking hard. And the third is that they have worlds filled with intricate and elaborate bits of lore, which you earn and enjoy despite the games being really freaking hard. Did I mention their games are hard? Naturally, with the upcoming release of Sekiro: Shadows Die Twice coming in just a few days on consoles and PC, one of the biggest questions that fans of FromSoftware’s past games might ask is just exactly how much Sekiro carries over from Dark Souls, the series that arguably has defined the studio in the past decade. 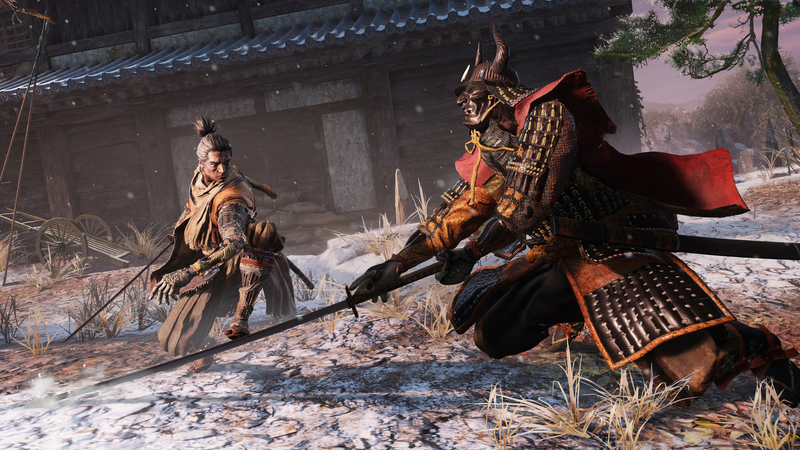 After recently getting to try out Sekiro: Shadows Die Twice for myself recently in a hands-on preview session, I came away from about two-and-a-half hours of the game with a much better idea of what to expect from FromSoftware’s latest title and getting to know what exactly it was. However, I also came away with an idea of what it wasn’t: namely, this is not just another Soulslike game, in the best way possible. 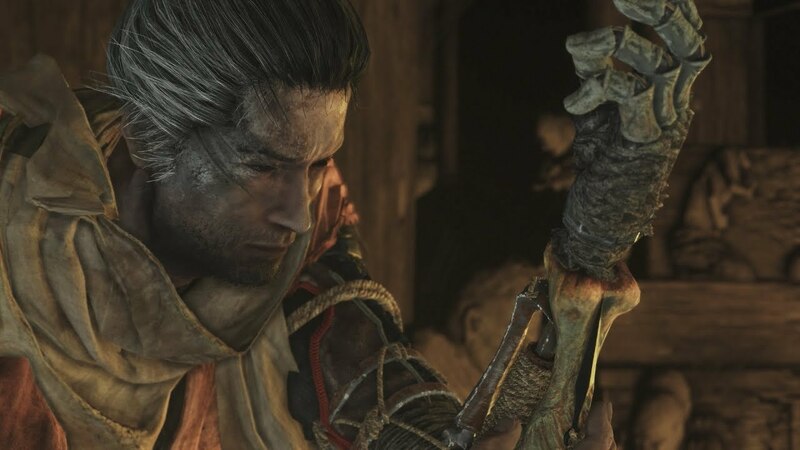 As much as Sekiro: Shadows Die Twice shares a lot of common elements with FromSoftware’s past titles like the Souls series and Bloodborne, here I wanted to break down the most notable elements that made me reconsider Sekiro as just being another Souls game. Stealth is a viable (and necessary) option. Of all the biggest changes to Soulslike combat that Sekiro provides, the introduction of true, genuine stealth mechanics is by far the biggest gameplay adjustment yet. 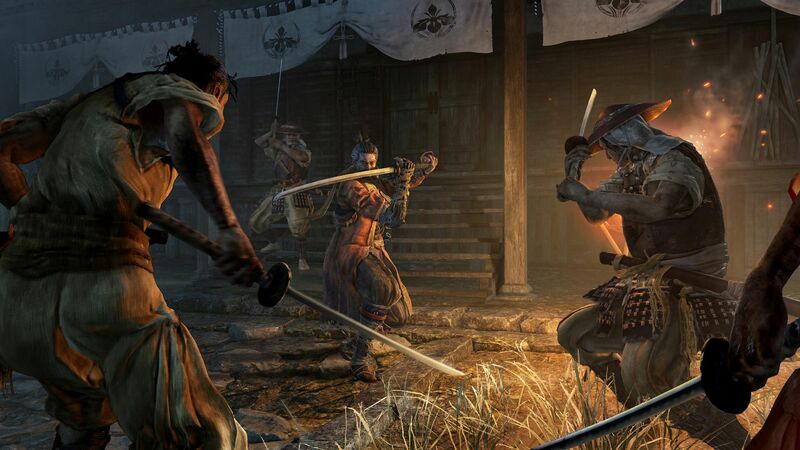 Though Sekiro‘s combat has a lot of Soulslike elements to it–enemies can kill you very quickly, and your attacks have to be very deliberate–that all changes radically when you account for the fact that the game also introduces so many new options for engaging with enemies in the environment. While playing as the titular Sekiro–“the one-armed wolf”–one of the first skills that I learned during the course of my demo was how sneaking and stealth play into the overall experience. As a shinobi, Sekiro naturally has the ability to move quietly and kill even more silently, giving the player a much different approach when it comes to encountering enemies. This approach now gives players the chance to get the upper hand on their enemies through stealth kills, where sneaking up behind a smaller enemy can let you instantly kill them in brutal ninja fashion. Of course, for the game’s larger boss enemies this sort of insta-kill won’t be possible, but in the right hands, stealth will be a much more valuable tool at your disposal compared to FromSoftware’s previous games. Blocking and timing are more critical skills than ever. In Dark Souls and Bloodborne, the challenge of combat is mostly highlighted by the fact that the player must be deliberate and thoughtful of when they prepare to strike. With those games often featuring long animations and small windows of recovery, failure in combat can often come quick, requiring players to be thoughtful of when they should attack an enemy before the enemy attacks them. In Sekiro, a lot of these principles have made their way into the game, but with a much heavier emphasis this time around on precision and blocking. If you were a big fan (like me) of dodging and rolling to do most of your defense in Sekiro, I hate to break it to you, but that won’t work well here. This time around, Sekiro relies less on health (though health bars are still present for you and enemies) and instead on a new system called “Posture.” Shown in a meter above an enemy’s head, defeating an enemy in Sekiro mostly revolves around deflecting enemy attacks (and taking opportunities to attack on your own) to get an enemy off balance and then to get in for a killing blow. While it shares some similarities with what you might expect from a Soulslike game, the next bullet point below will break down what makes it so much more challenging. It’s much harder to cheese enemies. While Dark Souls has been notorious in the level of challenge that it provides players, over the years plenty of players have found ways to “cheese” enemies that are giving them a particularly difficult time by breaking the game a bit, or playing it in a way that wasn’t intended. However, despite how I’ve often tried to find ways to make my time getting through Soulslike games a little easier, in Sekiro trying to utilize cheesing to your advantage will be far more difficult. Namely, the Posture system that I mentioned before really emphasizes that players have to not only be on their guard, but also have to be incredibly aggressive. As an enemy’s Posture meter will refill if you wait too long to attack them, doing the Dark Souls style maneuvers of going in for a couple of hits and then retreating or rolling will seem to prove difficult here in Sekiro: Shadows Die Twice. Instead, the combat system emphasizes that players maintain their offensive, leading to a style of combat that has a much different rhythm than the slower, often more defensive play that Dark Souls tends to encourage. It’s less of an RPG. Where the Soulslike games are drawn more traditionally from RPGs by having players create a character build and then expand on that character’s abilities over time, Sekiro eschews those RPG mechanics and instead opts for a more action-driven, character-focused experience. Now, that isn’t to say that Sekiro has completely abandoned these elements entirely. But from what I played of it, Sekiro feels a bit closer to an action-adventure game than an all-out RPG, but it has left enough room for players to define Sekiro as a character with their own unique style when it comes to combat. Namely, the game gets this across by introducing skill trees for Sekiro, rather than having players place points into specific attributes or values. 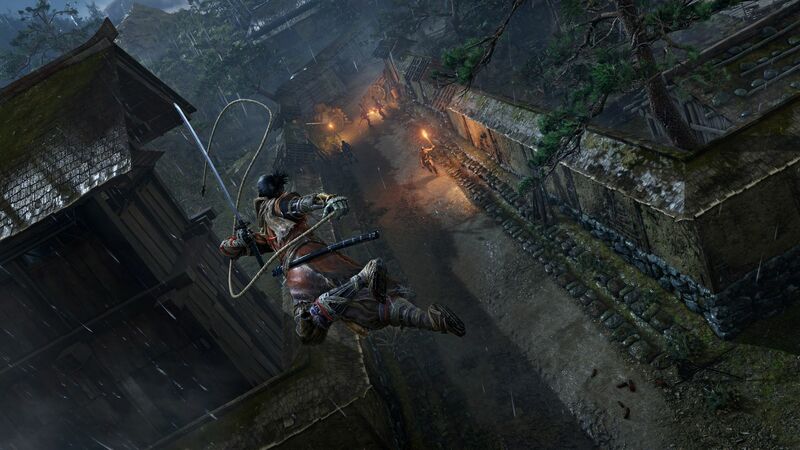 While I only got a brief glimpse at the skill trees for Sekiro as a character, there are several paths that allow players to customize Sekiro in different ways, such as enhancing his Shinobi Arts that increase his stealth capabilities, improved combat abilities Ashina Arts tree, or the third tree that can give players new options for Sekiro’s prosthetic arm. Death isn’t necessarily The End. If there is one thing that you will have to get used to in Sekiro it’s dying, as I learned that the hard way when I played the game and died many times over the course of the preview session. However, while death is very much a core mechanic of any Soulslike game, how Sekiro approaches death will surely offer a new experience for fans of the Souls games. Specifically, the biggest change that Sekiro implements is the fact that you no longer have to “find” your body when you fall in combat, which in itself is a major change to other titles in the genre. 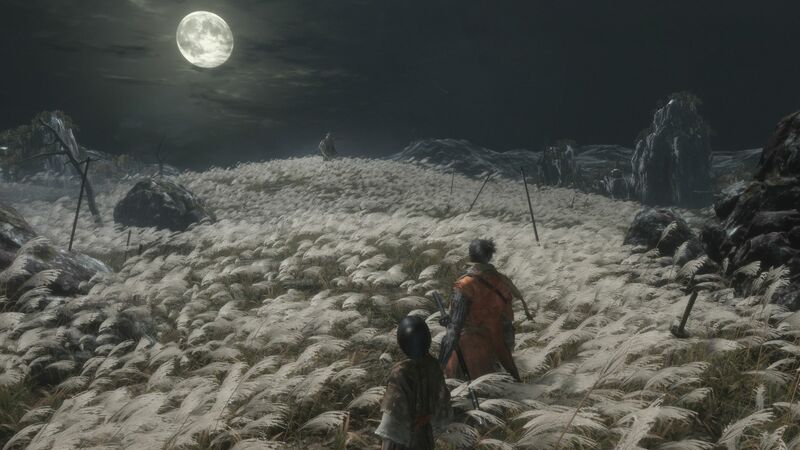 Instead, Sekiro has the change to utilize a resurrect ability that can bring him back on his feet after being felled, giving players the chance to get the drop on an unsuspecting enemy that thought they were down for the count or to get another chance at taking down a challenging boss. However, the resurrect mechanic itself offers a bit of rick-reward gameplay. You only have a limited amount of chances to resurrect yourself before having to recharge the ability once more, and death itself in Sekiro isn’t without its consequences. When you die and use the resurrect ability, the act of bringing your character back to life will have effects on the rest of the land around you, making death and resurrection not only a viable option to take on challenges, but also giving players a hard decision to make about whether to bring themselves back to life or to try again. As much as resurrection and getting the chance to take another swing at things is appealing, Sekiro makes you learn quick that this second chance at life isn’t without consequences. Sekiro: Shadows Die Twice will release for PS4, Xbox One, and PC on March 22, 2019. For more on the game, you can read through our full hands-on preview impressions or watch 20 minutes of gameplay in which I do, in fact, die more than twice. Given that Sekiro releases in just a few days, you can still pre-order the game now over on Amazon.